With a three-year postseason drought, the St. Louis Cardinals are more determined than ever to turn things around in 2019. They took another step forward on Friday, signing relief pitcher Andrew Miller to a two-year deal worth $25 million. Miller’s contract also includes a $12 million vesting option for the 2021 season if the lefty appears in 110 games over the next two seasons. From 2013 to 2017, Miller was one of the premier relief pitchers in baseball. While he was sometimes used as a closer, the Indians used him as an invaluable setup man during their 2016 run to the World Series. Miller was used in a number of situations, often entering the game in the middle of an inning with the game on the line. More times than not, he would come through, in many ways, making him more valuable than a traditional closer. However, Miller undeniably took a step back in 2018. He spent large chunks of the season on the DL with knee problems that first popped up late in the 2017 season. Miller also had a shoulder issue this past August that also sent him to the DL. 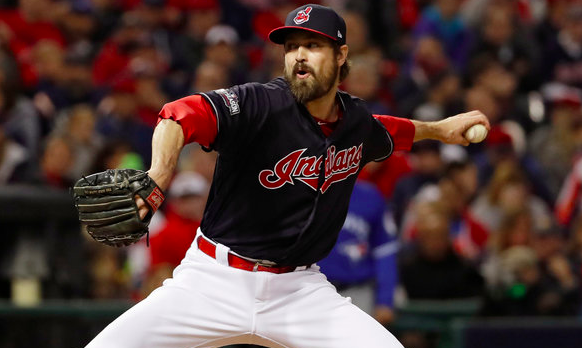 When all was said and done, Miller made just 37 appearances in 2018 while posting a 4.24 ERA, which is a big reason why Cleveland’s bullpen was far less dominant than in past years. Nevertheless, the Cardinals are banking that the 33-year old has at least two more good years left in the tank. If healthy, Miller is certainly capable of pitching like a high-end reliever. But as we saw last season, if he’s far from 100% physically, Miller is a rather average pitcher and may not be worth the money the Cardinals are investing in him with this deal. What remains to be seen is whether or not Miller will serve as the St. Louis closer. The Cardinals had a world of trouble finding a consistent closer last season, so that job could be Miller’s for the taking. Outside of Miller, 22-year old flamethrower Jordan Hicks would be the best candidate on the St. Louis roster to close out games. Hicks had six saves as a rookie last season. Alex Reyes has also been talked about as a potential closer despite barely pitching the last two seasons. However, Miller is the only reliever the Cardinals have right now with experience as a closer. Obviously, signing Miller is a step in the right direction for the Cardinals. But it’s not nearly enough for a team with one of the worst bullpens in the National League last season. Miller is capable of being a high-end reliever, but he’s not a sure thing after his injury-plagued 2018 campaign. If the Cardinals want to be serious playoff contenders in 2019, Miller needs to be the first of multiple bullpen additions this winter.